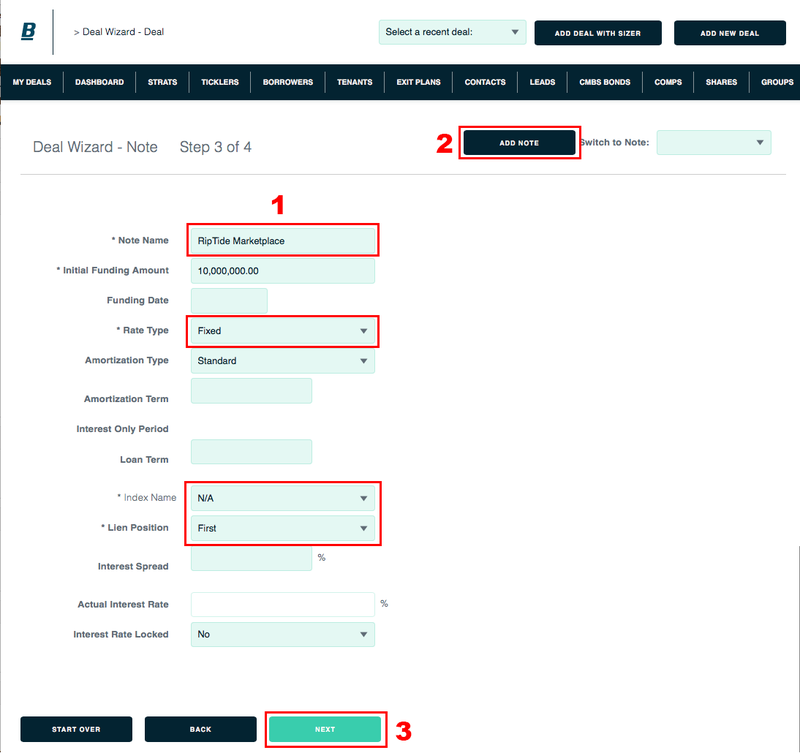 The Deal Wizard makes creating a deal (or deals) a simple, linear process. Click the Add New Deal link in the header on any page. 1. 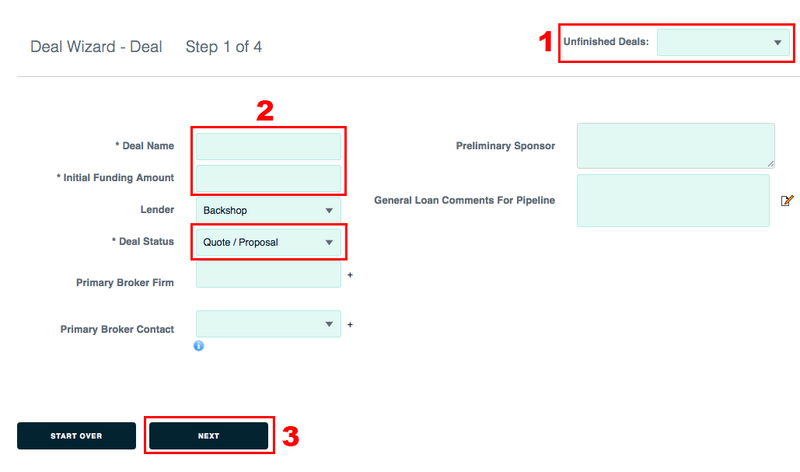 If you want to work on a deal you’ve started but not yet finished, select it in the Unfinished Deals menu. 2. 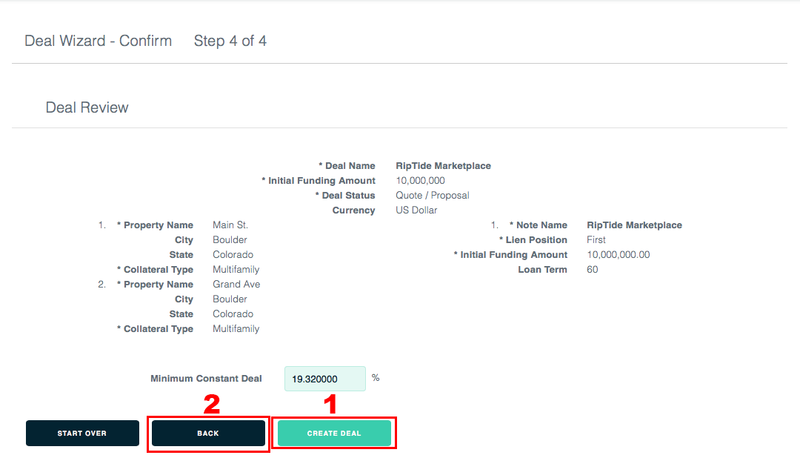 Enter your deal information, starting with the required fields. Enter as much information as you like; you can always return to this form. 3. Click the Next button. This saves your information and takes you to the next step. 1. 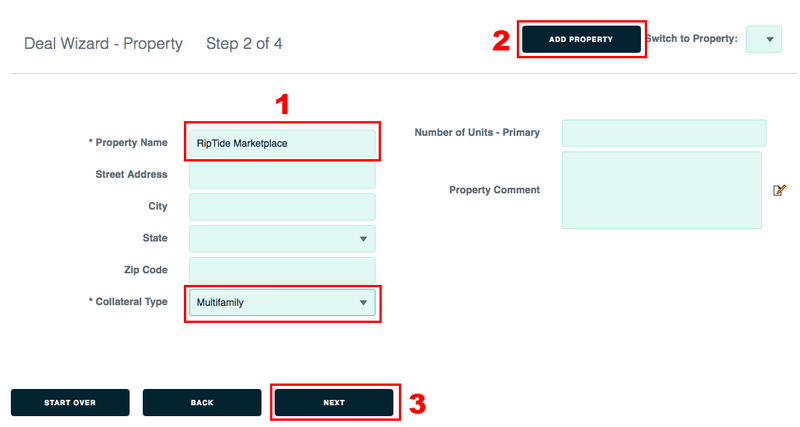 Enter property information, starting with the required fields. 2. To add another property to this deal, click the Add Property button. 3. Click the Next button to save your information, even if you don’t plan to go to the next step at this time. 1. Enter note information, starting with the required fields. 2. To add another note to this deal, click the Add Note button. 1. If you are satisfied, click the Create Deal button. 2. If you need to change anything, use the Back button. Remember: Backshop saves your information, so you can always come back and finish your deal later.